Goldcoast Ballroom & Event Center | 4 Master Workshops with US National Professional Latin & Latin Show Dance Champion Maxim Kozhevnikov!! 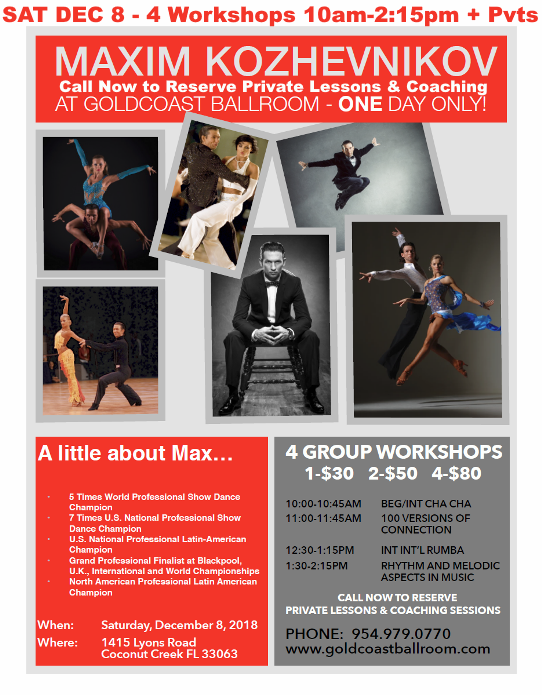 - Saturday, December 8 (starting 10 AM) at Goldcoast Ballroom + Call Now to Schedule Private Lessons or Coaching for December 8! with US National Professional Latin & Latin Show Dance Champion Maxim Kozhevnikov! !